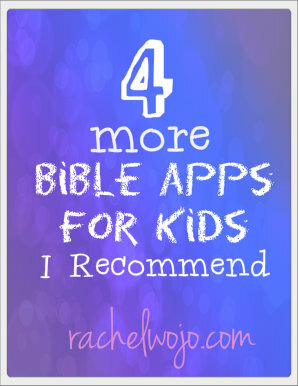 One of the most popular faith and technology posts around this busy corner of cyberspace is 5 Totally Awesome Bible Apps for Kids. 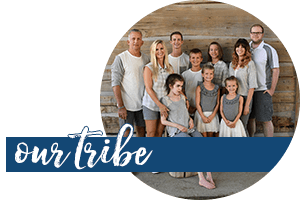 After teaching two sessions to grades 3-8 and one session to the parents at the ch@t conference, I am hopeful that most Christian parents are realizing that the next generation will learn God’s Word in different ways than our current generation is accustomed. 1. 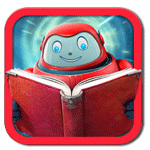 Child Evangelism Fellowship offers an excellent Biblically accurate selection of stories on app that involve the senses in different manners. One of our readers suggested these apps after reading the last post and I do believe they are worth mentioning. With 2 different series of apps, the first focused on Bible Heroes, and the second on the Life of Jesus, these apps contain an audio Bible story, coloring pages, and songs that reinforce the Biblical principle. I will say that the graphics are not the highest of quality, but the wealth of Bible information is fantastic! Some apps are free, some are $1.99 and some are available in a bundle of 7 apps. For more info, click here. 2. 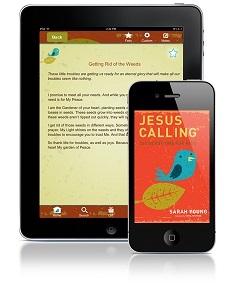 The Jesus Calling for Kids app is an excellent 365 devotional app. 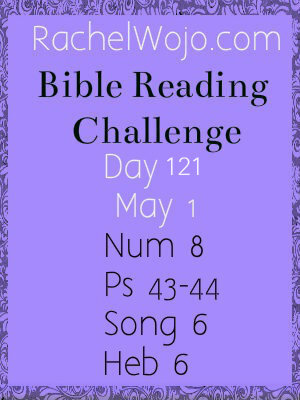 If you’ve been around here much, then you know how much our family LOVES the Jesus Calling for Kids devotional itself. This is our third year reading it in the mornings at breakfast and we never tire of it. This devotional app is the exact same quality of the book. You can check out the lite version for FREE for IOS users or you can purchase the full devotional for $9.99- same price as the book. 3. This next app, Bible Bloom, is what I would like to label as a Family Bible app. 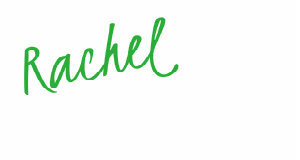 It is not necessarily designed for children, but is such a fabulous resource, I couldn’t leave it off this list. 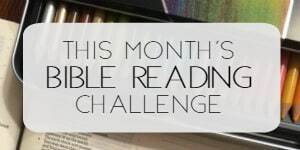 I introduced Bible Bloom to my readers last week and you can find the full review here. But I’ll reiterate that my favorite feature is the daily challenge, a simple exercise to help you live out your faith each day. 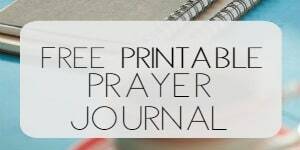 With beautiful colors and easy to use screens, this app is attractive and perfect for families to use together as they track prayer reminders, Bible reading schedules or wish to challenge each other in daily living out the spiritual lessons they are learning. What are your kids favorite Bible apps?